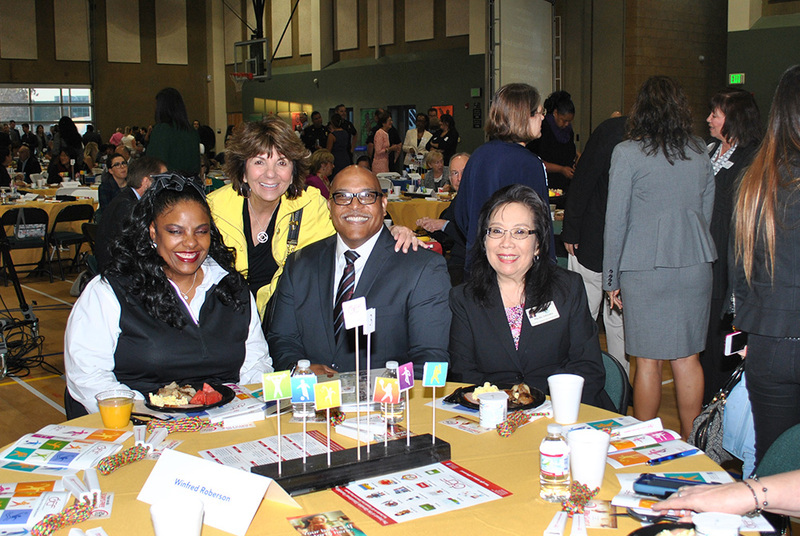 Glendale Unified School District leaders showcased its accomplishments and shared its road map to student success Thursday morning during the 13th Annual State of the Schools Breakfast. Hundreds of teachers, administrators, principals and donors attended the 90-minute celebration hosted by the Glendale Educational Foundation at the Pacific Community Center. Supt. Winfred Roberson Jr. and school board President Nayiri Nahabedian thanked and commended all in attendance for their leadership and financial dedication toward helping students thrive. “We rely on you and your commitment to our schools and kids,” Nahabedian said. Roberson highlighted award-winning teachers, campuses recognized as Gold Ribbon schools, the World Language Academy, Cerritos Elementary School’s five-year partnership with a coding immersion plan and new initiatives like restorative practices championed by Roosevelt Middle School. The superintendent also noted recent state test score results that show Glendale students performed better than their peers in the state and region. “I’m very proud of GUSD and I’d put up against any school district in California or nation for that matter,” Roberson said, describing it as a “destination district” for accolades across the board. Performances by Glendale High School’s choir, Crescenta Valley High School’s Junior ROTC and Hoover High’s marching band that morning, Roberson said, showcased the district’s visual and performing arts talent. More than half of students districtwide are involved in an activity and 24% are involved in sports, he said, and there are hopes of increasing numbers in the coming years. In addition to its districtwide accomplishments, Roberson said its road map to success is dependent on its 192-page strategic document helping create a culture of caring, learning and engagement for students, faculty and the community. “When schools do great, communities thrive,” he said.